HIQES, as indicated by the origin of our name, is dedicated to creating high quality, robust and user captivating products and solutions for our customers. Today’s mobile and embedded development is dominated by Google’s Android and Apple’s iOS based platforms. Our engineers have been key contributors for numerous silicon vendors, OEMs and product development companies creating innovative applications and custom device drivers for mobile and embedded platforms. Our engineers have extensive experience developing BSP and turnkey solutions for systems based on Windows, Linux, VxWorks, QNX, and other RTOSes. 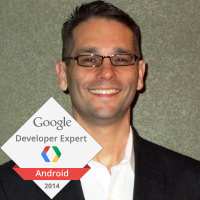 HIQES is proud to announce that our CTO Larry Schiefer was recognized by Google as a Google Developer Expert. Android Studio is the new Android application development IDE powered by the IntelliJ IDEA platform. Larry Schiefer's course will take you through downloading and setting up Android Studio on Windows, migrating to Android Studio from Eclipse, and developing Android applications and libraries.